Summer may be coming to an end, but Swansea is still the Biggest Stage with a whole host of huge events happening in Swansea! The great events keep on coming, including a festival of world class music and arts, ground breaking theatrical performances, sporting events for fitness fans and much more. 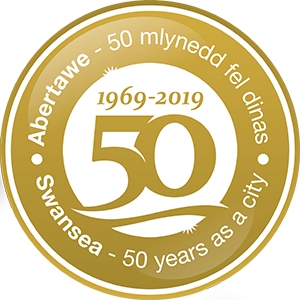 The countdown to race day is on – the annual Admiral Swansea Bay 10k returns on 16 September. Thousands will line up on the starting line aiming to beat personal bests, get active with friends or raise money for great causes. Voted the Best 10k in Wales at the 2018 UK Running Awards! Four nights of epic theatre are in store on 26 – 29 September as Now The Hero takes audiences on an extraordinary journey, from the stunning open expanse of Swansea beach to the intimate surroundings of the city’s Brangwyn Hall. Through dance, art, prose, music and performance, this powerful memorial weaves three stories of war together for a spectacular theatrical event. Tickets on sale but selling fast! Raise money for a great cause this September with the Sepsis 6k Charity Run! On 30 September SeGMED (Sepsis Group Morriston Emergency Department) is proud to bring you the second Sepsis 6k Charity Run in Wales, raising money and awareness of Sepsis. It’s a fun run with a flat course and manageable distance suitable for all abilities, so grab your friends, and even some fancy dress costumes, and book your place on the start line today! Swansea International Festival returns this autumn! Kicking off on 22 September, enjoy a fortnight of world class musicians, composers, art installations, exhibitions, lectures, comedians and much more. This annual Festival features some of the leading names in the world of music and the arts, and this year looks set to be the biggest and best ever – find out what’s in store! The Swansea Fringe returns this October, and Swansea Council is bringing a special screening of The Greatest Showman on the Big Screen in Castle Square. Don’t miss this immersive, outdoor cinema experience! And that’s not all, as there will be street food, on-street circus performances, and much more fun for the whole family. The Swansea Fringe Festival returns for its second year, taking over a host of Swansea City Centre venues and bringing together a packed programme of fun, exciting, dynamic and vibrant events. Featuring 3 days and nights of live music, poetry, art, readings, comedy and much more, the 2018 Swansea Fringe Festival looks set to be bigger and better than ever.